* Your condo – You’re covered for accidental damage to improvements you make in your unit that your association’s policy does not cover, up to your condo insurance policy limits. * Your possessions – Insurance covers your personal belongings too, up to your policy limits. 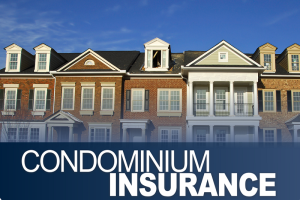 * Your assets – Condo insurance can help protect your assets from liability claims if you are sued. * How much would I need to cover my financial investment if disaster did strike? * What would it cost to replace my personal belongings in my home? * If someone threaten to take me to court, would my assets be covered? * You choose the amount of coverage based on the property you own. * Personal property is covered anywhere in the world. * Coverage is on a named-peril basis, which means that only losses resulting from causes listed in the policy are covered (subject to exclusions). * Pays when you’re legally liable for someone else’s bodily injury or property damage resulting from an accident, negligent acts by you or household members (on or off premises). This also includes the acts of your pets. * Includes costs to resolve claims or defend lawsuits brought against you. Covers additional living expenses up to 24 months (depending on the policy type) if a covered loss makes your home unfit to live in. Scheduled and unscheduled coverage of important valuables is available for items like art, jewelry, collectibles and more.